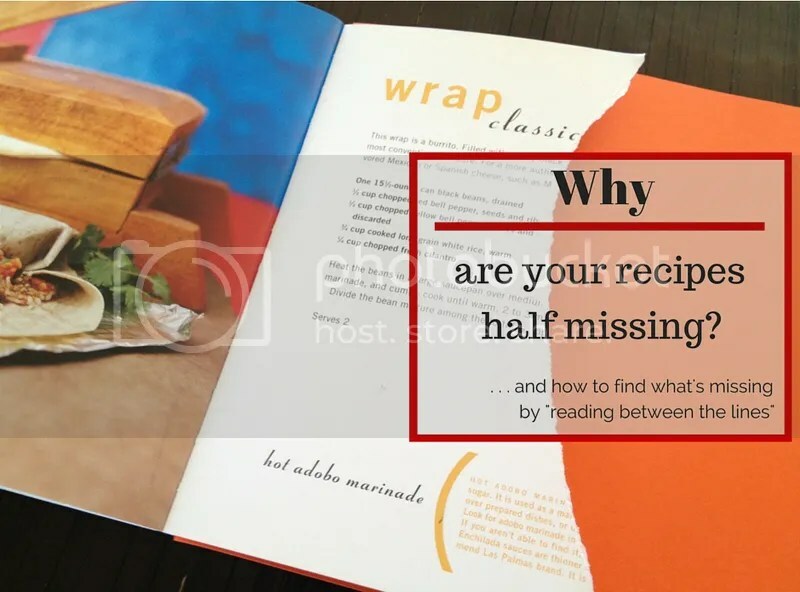 Your Recipes Are Half Missing!
. . . but you probably don’t know it! Recipes are usually missing half the information you need to make them turn out the way you want. You’ve heard of the phrase, “reading between the lines.” This idiom came from an early method of transmitting coded messages by writing secret information in invisible ink between the lines. Only by “reading between the lines” would the recipient learn the secret information. This is actually a pretty good description of what’s going on with a recipe. There is a lot of invisible information that would make your dishes turn out better. But you need a decoding device to decipher it. In the kitchen that “device” takes the form of our knowledge base of cooking techniques, tips, tricks and other know-how, e.g., what kind of pan is best for sautéing vs. soup making; how to strain broth, cook frozen fish and use fresh herbs; what kind of salt to use; the difference between mincing, dicing and chopping; and how to tell when a vegetable or piece of meat is done. As we’ve become less and less familiar with cooking, however, recipes have had to become longer and longer, making them more and more tedious to follow. And even at that, there is still a lot of information that isn’t included. So where does this leave the everyday cook who is yearning for tastier and more satisfying meals? Begin building your knowledge base! Happily, it’s not the hopelessly daunting task it might seem to be. A surprisingly large number of knowledge bits are used again and again. Discover what makes one recipe click and there’s a very good chance that bit of knowledge will apply to a dozen other recipes, too. Very often, the only difference between a new cook and someone we consider a “good” cook is simply that good cooks have experimented more and thus have a bigger knowledge base to draw from. As always, the best teacher is experience. Nothing like a limp vegetable stir fry to know that’s not what it means to “cook just until crisp-tender.” As important as having a kitchen learning experience, however, is observing it, learning from it and checking it into your database. That’s how a new tidbit becomes an entry in your knowledge base and not just a random bit of misfortune that is quickly fumbled through and forgotten. Books and articles are another great source of cooking know how. In fact, my cooking “education” is almost entirely a combination of experience plus reference reading. One time, for instance, I read a simple newspaper article on three secrets for great sautéing. It revolutionized the way I sauté–and is the foundation for the way I teach the technique in our classes. Besides the weekly food section of the newspaper, some of my favorite cooking know-how sources are: The Joy of Cooking (1997 ed. ), Cook’s Illustrated, Fine Cooking, James Peterson’s Vegetables, and the Culinary Institute of America’s The Professional Chef. It’s not a bad idea to make a practice, once or twice a month, of reading something about cooking–even if it’s just a recipe that shares a little background knowledge. 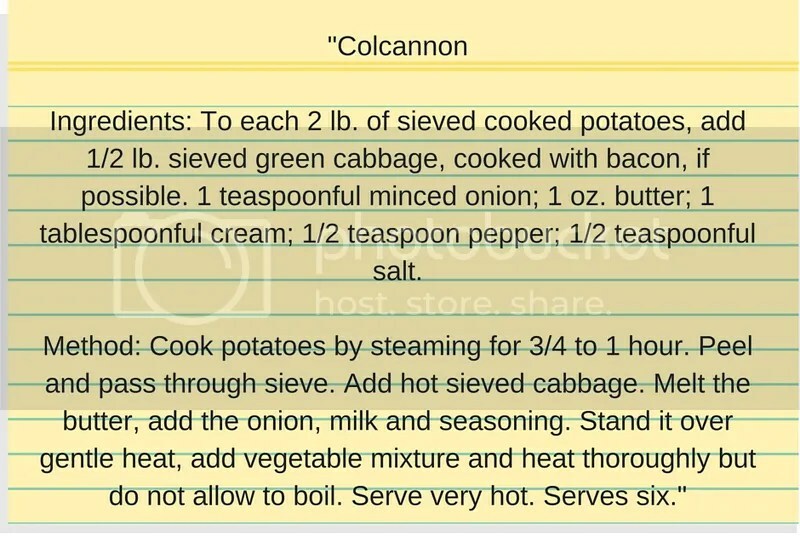 Get started now by checking out the next blog post where I detail how I read between the lines to make Colcannon to better suit my tastes and health needs. Of course, there is much to be learned from watching and learning from others, whether that’s just a friend, family member or television chef who focus on technique more than pure entertainment. Finally, of course, there are cooking classes, whose exact purpose is to share “between the lines” cooking know how. They can really fast track your knowledge base creation, as long as they are not too narrowly focused on a single recipe or food type. Look for classes that share general, frequently used techniques and everyday cooking. These are exactly the goals of our new Cook Happy | Live Healthy online course–which is why I hope you check it out if you’d like to build your knowledge base and gain more confidence and comfort making recipes that sparkle and sing for you. Or invite some friends over for a Cooking Get-Togethers–enjoy being with friends while learning more about everyday cooking. One Last Caution Please don’t let this article be reinforcement for any notion you might have that cooking is an exclusive club, only for those “in the know.” Not the case at all–there is room for everyone in the kitchen! Find out how everyone–regardless of experience–is moving along the same “Good to Better Cooking Continuum,” and know that this article is only meant to help you progress from meals that are good to meals that are better, i.e., ones that better fill your yearning for yumminess, wholesomeness and comfort at mealtimes.